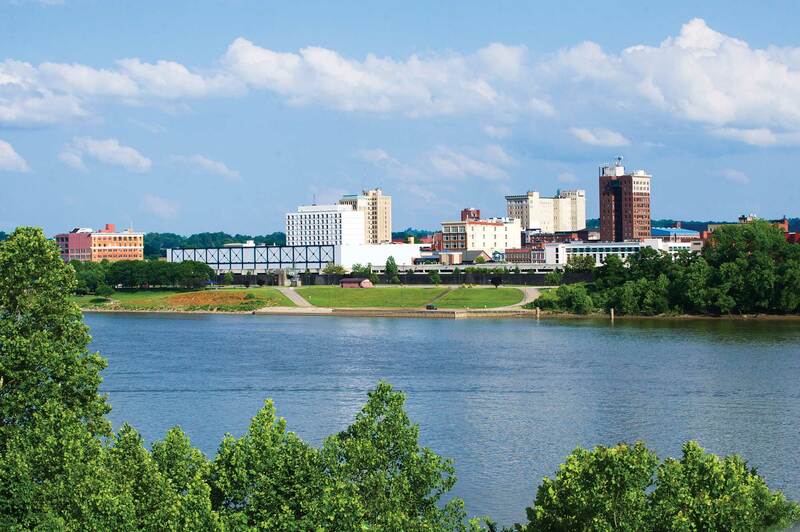 Huntington, West Virginia is located on the banks of the scenic Ohio River where the states of West Virginia, Ohio and Kentucky meet. It was recently named America's Best Community. Enjoy beautiful weather and events at the riverfront park, where you can look across the water and see Ohio. Kentucky is only about 20 minutes away by car, so your options for exploring are multiplied with the convenience of the tri-state area. As you stroll through the streets of downtown Huntington, don’t be surprised to hear people you pass saying, “Hello.” Students note that one of their favorite things about the city is the friendliness of its residents. 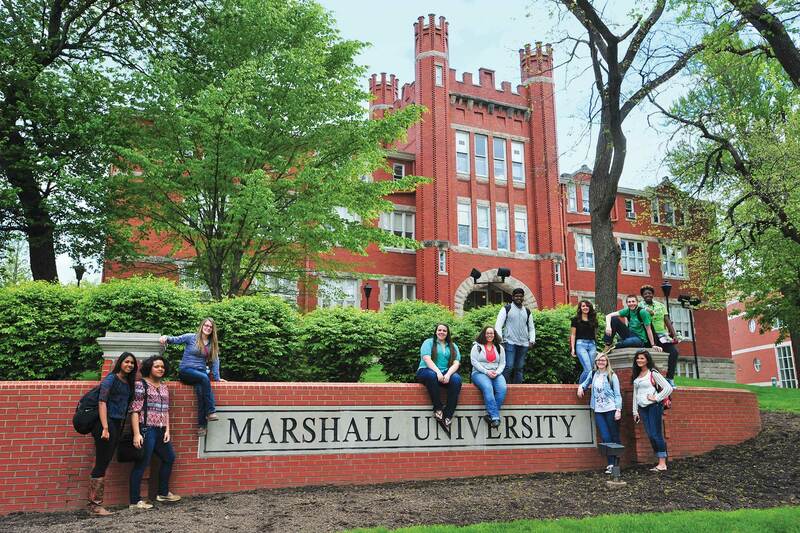 As a Marshall student, you’re embraced as part of the community. 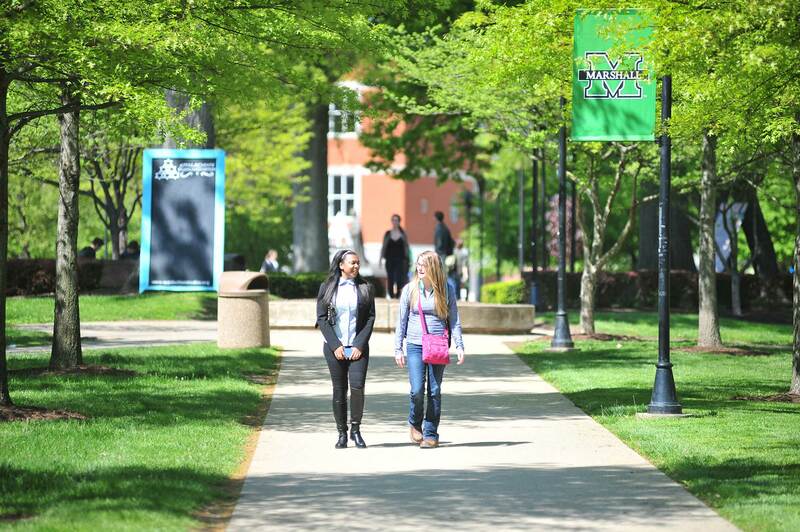 Marshall University and the city of Huntington are very closely intertwined, with many residents being alumni and employees of the university. If you want to go off campus for a meal, you'll find a wide variety of food awaiting you. Huntington boasts restaurants with international cuisine such as Chinese, Thai, Indian, Mexican, Italian and more, along with several varieties of American cuisine. Restaurants range from low-cost fast-food stops to swanky sit-down restaurants. Visit the Huntington dining guide for more information. You have options when shopping in Huntington. Take a walk downtown to shop at several stores in the Pullman Square area to find everything from the latest clothing trends to jewelry or browse locally made treasures at Heritage Station. If a shopping mall is more your style, the Huntington Mall is a 20-minute drive from campus and boasts numerous stores and restaurants. Huntington has many events throughout the year that encompass all cultures. Each year, the International Festival is sponsored by Marshall University. Thousands of people gather every November at the Big Sandy Superstore Arena in downtown Huntington to share their cultures with people from other countries and local residents as well. The performance stage is busy with singing and dancing. Food from local ethnic restaurants is available for a small price and booths represent countries and share local art, games and more. You can also attend the annual Greek festival for food and events. Several other festivals occur in and near the city throughout the year, giving you a large variety of events to attend. Check out the events calendar and visitors guide for more information.